What would you do if you saw a giant Boombox in the middle of nowhere that needed to be plugged in? Well these strangers gave it a go and all sorts of things happened. 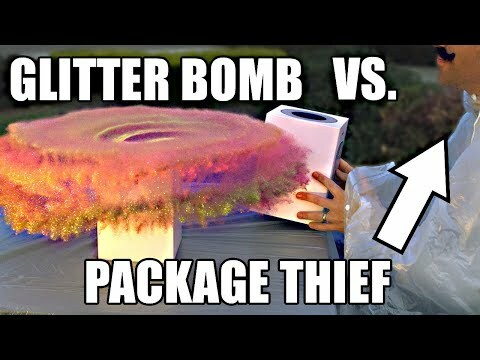 Tired of his packages being stolen from his porch this guy decided to build the ultimate glitter bomb as revenge. Take a look at the build process and how the evil creation works. 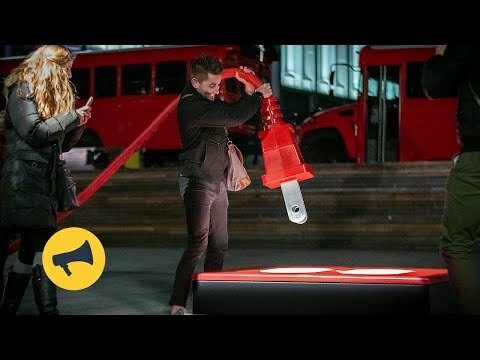 Pay phones have pretty much died out around the world so these people thought they would try something different. 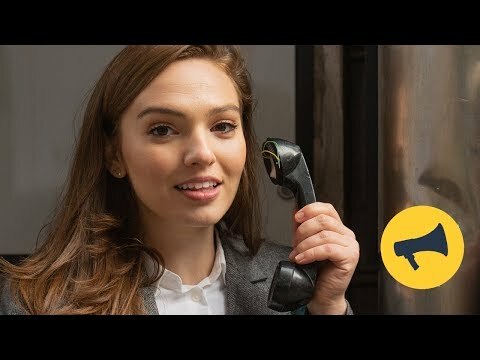 Would people be prepared to rent pay phones converted into mini offices? How would you react if you found yourself trapped in an elevator with a creepy Mannequins that suddenly comes to life? Well that's exactly what happened to these people. 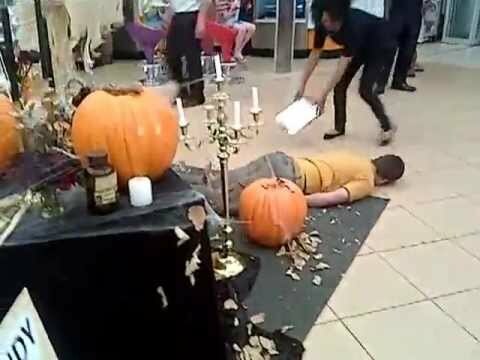 This scary stand at the store was meant to frighten shoppers with a silly Halloween scare but little did they know that the prank would be turned on them. 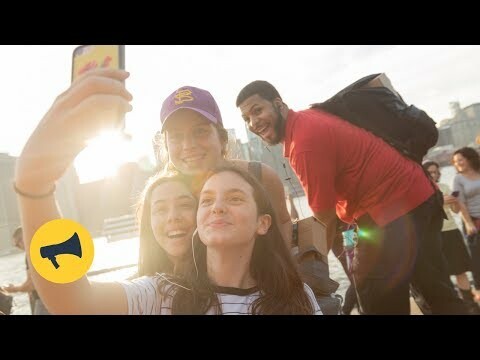 Watch as the new show Magic For Humans tricks an unsuspecting audience member into believing that's he's invisible. All it took were some actors in the crowd to blow this guys mind. It's that time of year again when groups of people get together to let a little mp3 control their every move, much to delight and confusion of those watching. How do Boys and Girls React to a Hot Teacher? This classic Candid Camera prank recorded how girls reacted to a handsome new teacher followed by how boys reacted to a beautiful new teacher. Both teachers introduce themselves but have to leave, that's when the cameras pick up the reactions. Watch what happened when Arnold Schwarzenegger became the terminator one last time and hit the streets in full costume to prank everyday people. Let's face it, when confronted by the T-800 you don't ask questions, you just comply. 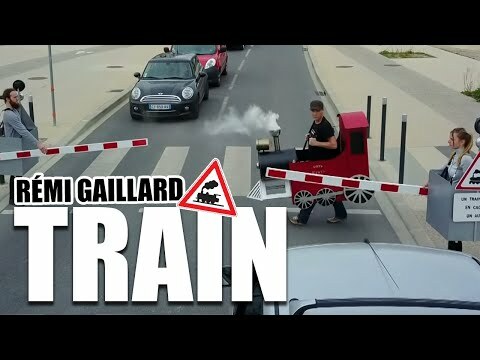 There's nothing worse than being stuck in traffic especially if it's thanks to notorious French prankster Remi Gaillard. Watch as Remi and his team frustrate French drivers with random train crossings. 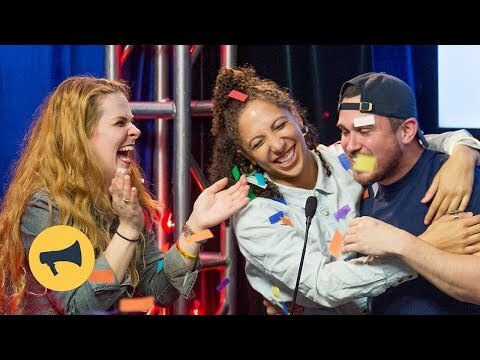 Watch as unsuspecting bar patrons are turned into TV show contestants on trivia night. These teams thought it was gonna be just another night downing drinks but how will they deal under the hot spotlights? Who Says You Need Pants to Ride the Subway? It's that time of the year again when people ride the New York subway system without pants. Take a look at everyone who joined in the annual no pants subway ride 2018. Is That a Hotdog in Your Pocket or Have You Been Pranked? Watch what happens as this guy wonders around putting hotdogs in random peoples pockets. While some take it as a joke other aren't too impressed. 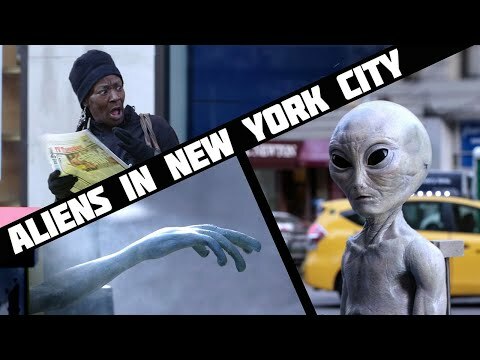 The people at the X-Files decided to promote the new season by scaring the crap of out New Yorker's. Watch as aliens burst out of newspaper dispensers providing a close encounter of the third kind. Watch as these brave young boys from a choir sing the classic "Oh Come, All Ye Faithful" after eating ghost peppers. I'm pretty impressed how well they keep it together and keep going.